David Le/Gloucester Daily Times. 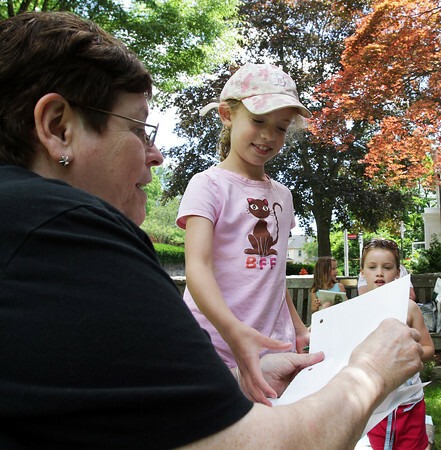 Featured Manchester poet Barbara Flaherty, left, hands a piece of paper to Lilly Coote, 7 of Manchester, while Madeline Lai, 8, also of Manchester looks on. 6/27/11.